/ Where Did January Go?!?!? We don’t know about you, but how fast did January disappear? Gone in a flash! Like you, we much prefer to be busy than twiddling our thumbs though, here at Ultra Cleaning Service. We’ve been working hard to maintain the high levels of service our clients have come to expect and have managed to also attract some brand-new customers too. January has seen us take on three new contracts that we’re very excited about. 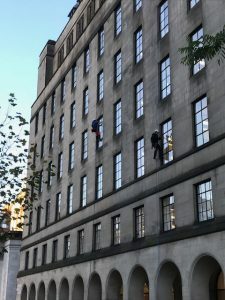 These new commercial window cleaning contracts include one rope access and two reach and wash instructions. 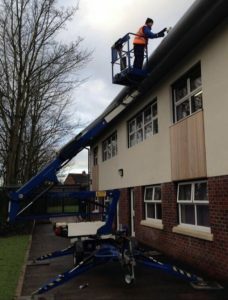 If you’d like to learn more about our diverse array of window cleaning and external maintenance solutions, you can learn more about what we do by clicking here. As our planned expansion continues to go from strength to strength, we’re welcoming new member of staff to the team. Bringing with them over 15 years of experience and being ex-military in background, we’re confident that they will bring strong leadership to the team and help to make our cleaning processes even slicker. Our team is sure to continue growing throughout 2018 so if you’re a talented window cleaner or are coming from a strong background in soft services and would like to enquire about joining our team, do visit our MD, Julian Chadwick’s LinkedIn page to keep up to date with new vacancies. The New Ultra Cleaning Service Website Is Live! Finally, we’re thrilled to show off our brand spanking new website. The talented guys over at Shiny Creative took control of both the design of the site and all the written content too, which made the process pain-free and quick. Our old website had good information detailed, however it was a little tired in design and also it wasn’t mobile responsive. We’re confident the new site will work much better for our existing customers and potential new clients who need to check out our services or make contact with us, while they’re out and about on the move. I’m sure you’ll agree, whether you’re looking at it on a desktop PC, a tablet or a mobile phone, it looks great and is really easy to use. Here’s To A Great February Ahead! 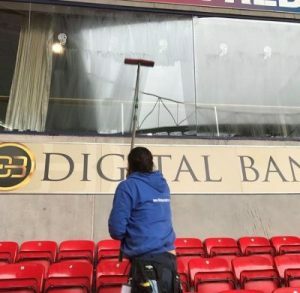 That’s it from us for now – we need to get back to work on the various window cleaning projects we’ve recently taken on. 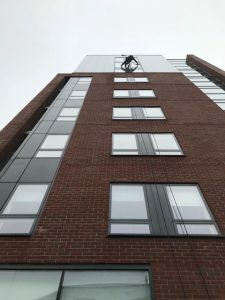 If you want to learn more about our window cleaning and external maintenance services, either click here to check out the new website or contact a member of our friendly team on 0800 1114724 for a FREE consultation. Julian and his team cleaned all my recruitment branch windows for my 15 branches at Labour Ready ltd and they always did a first class job. Very professional and friendly service, could not recommend them enough.